Ships today if you order in the next 9 hours 37 minutes. 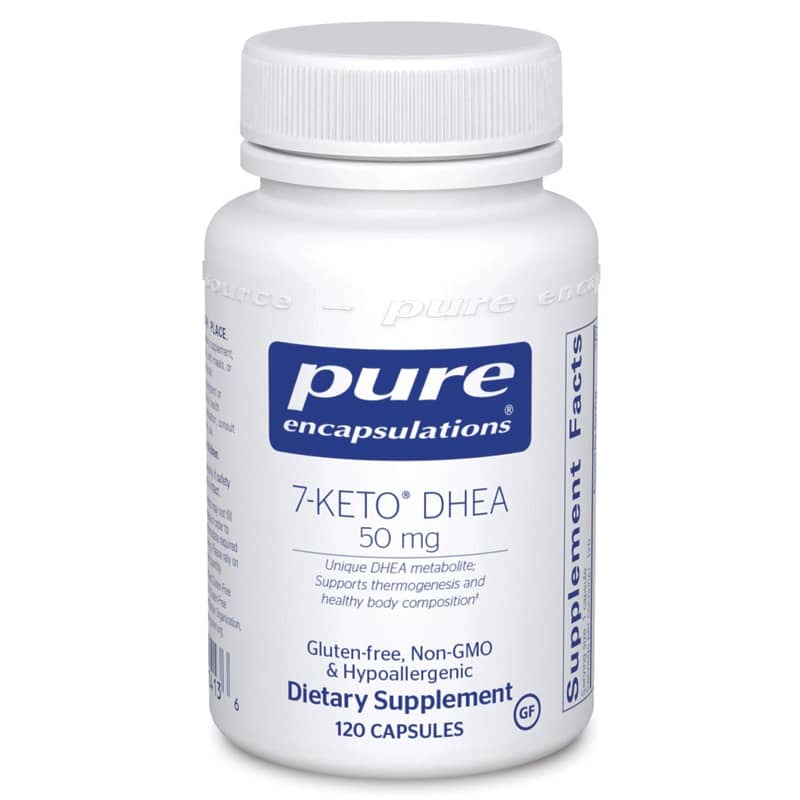 *7-KETO DHEA, a natural metabolite of DHEA, was the subject of research for over a decade at the University of Wisconsin in Madison. Of over 150 DHEA compounds tested, 7-KETO was shown to be the most promising form. Researchers discovered that 7- KETO does not convert to testosterone or estrogen, minimizing androgenic activity, and supports various physiological processes. It is several times more potent than DHEA in stimulating the thermogenic enzymes of the liver, promotes basal metabolism, and helps to increase the lean/adipose ratio. These actions support a leaner BMI (Body Mass Index) and healthy weight control. In a double-blind study involving 30 overweight adults, 7-KETO supported healthy body composition and BMI when combined with exercise. Other patented applications include enhancing healthy immune function and supporting memory and cognitive processes in animal studies. 7-KETO DHEA is also known as DHEA-Acetate-7-one, 3-acetoxy-androst-5-ene-7, 17-dione, or 3-acetyl-7-oxo- dehydroepiandrosterone. Adults: As a dietary supplement, take 1-4 capsules per day, in divided doses, with meals.